It is a pleasure to review one of my favorite foreign films by one of my favorite directors, Werner Herzog. 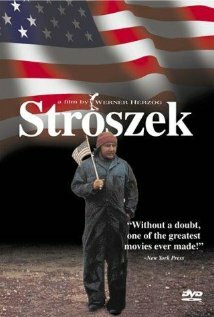 Stroszek is a poetic Herzog take on the American Dream as an unattainable myth for immigrants to the US. There are many subtle laughs along the way, but overall the movie leaves you with heartache on behalf of the title character and his attempt to improve his life by starting anew in the US. While it is not a documentary, Herzog based this story on Bruno S., the actor who plays the title character, and there are several scenes that are shot in his actual tiny apartment. Herzog has a knack for picking out interesting human subjects to showcase in his movies. And although not based on the true story of one particular German immigrant, it isn’t hard to imagine the story that unfolds as one that is based in the reality of those who immigrate to the US these days. The film introduces us to Stroszek as he is being released from jail where he was serving a short stint for some drunken misconduct of some sort. He is released and heads straight to the nearest bar to pick up where he left off. 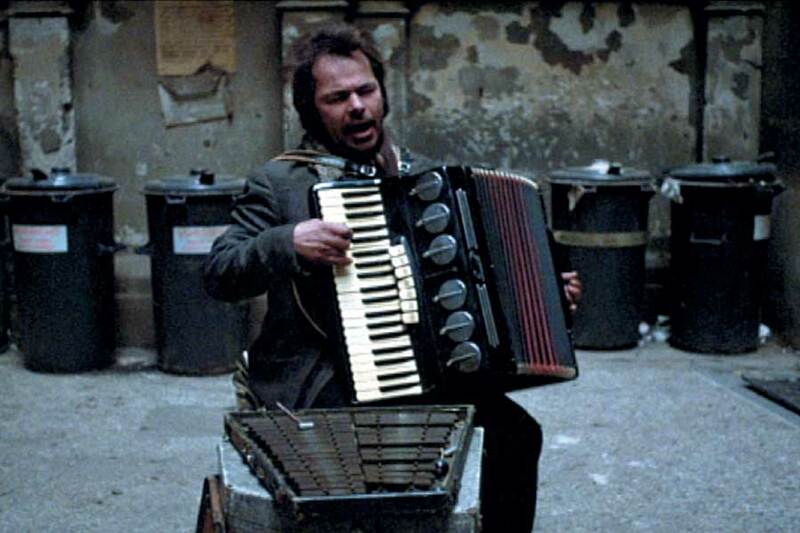 Stroszek is motivated to leave his native Germany when he and his lady-friend, Eva, are both tormented and abused by her pimps. The two of them set off for Wisconsin with Bruno’s elderly neighbor, Mr. Scheitz, in search of the American dream. In the states, however, they are met only with obstacles and people who either take advantage of them or simply don’t understand them. 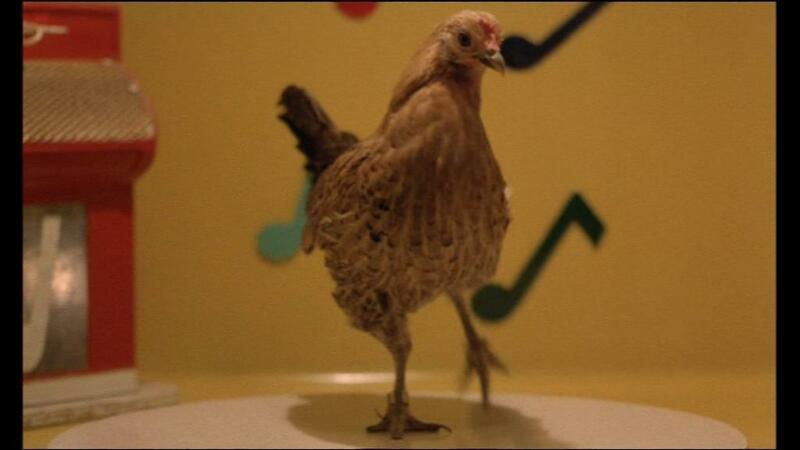 I have a penchant for melancholy movies, and Stroszek is one of the best. This is a must see in my book; it is a movie that graces my current Top 10 list. P.S. If you listen to Ratatat, you may recognize a sample from this film in the song, Drugs. ^^^Please watch that music video, it’s hilarious. It practically had me in tears of laughter when I saw them perform at Camp Bisco 10.